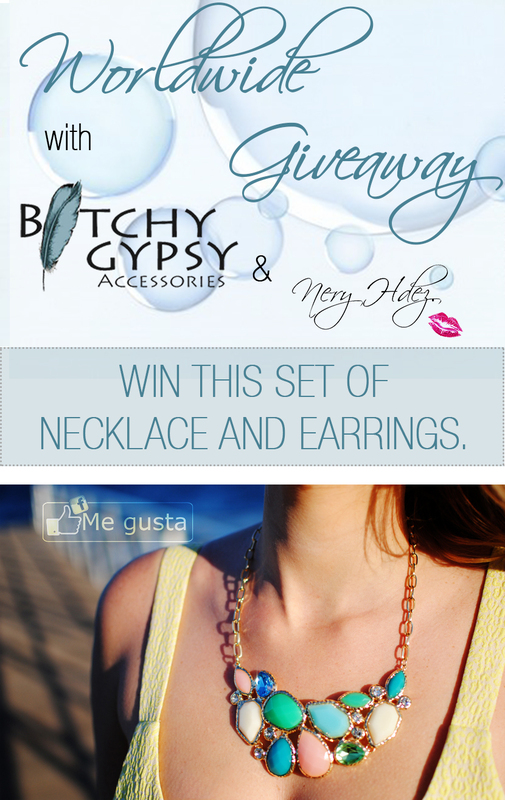 SNB by Nery Hdez|Fashion Blog : SNB and BITCHY GYPSY WORLDWIDE GIVEAWAY!! SNB and BITCHY GYPSY WORLDWIDE GIVEAWAY!! Como les había prometido, les traigo un nuevo sorteo. El premio es un set igual que el que les adelantaba ayer en "Mellow Yellow" de la marca Bitchy Gypsy. 2. Ser seguidor público vía GFC (google friend connect/gmail) o Facebook de SNB. Por favor, dejar los datos para facilitarme el trabajo en el formulario que encuentran a continuación del texto. Esto es MUY importante, porque en caso de que no rellenen el formulario no sabré que queréis participar en el sorteo. As I promised before, I bring a new worldwide giveaway. The prize is a set like the one I showed you yesterday in "Mellow Yellow" from the brand "Bitchy Gypsy". 2. Be public follower in GFC (google friend connect / gmail) or facebook of SNB. Extra participation (that means, enter more than once in the database) those who share this giveaway on facebook / twitter or follow me on any other social network. Please, fill the form that is below this text with your data to make me easier my work . This is VERY important because if they don't fill the form I don't know who participate in the giveaway. Es precioso :D ¡A ver si hay suerte! Beautiful giveaway! LOVE the necklace! Gracias a ti por participar.Mucha suerte Maria!! Beautiful giveaway, very cute necklace. Thanks for visit my blog Milex!! Thanks Isa!! :) It's very nice, I'm glad you like it! great giveaway. that's a pretty necklace. Nery, thank you for visiting my blog and for the sweet thought. I like your blog's name, it's so cool ! It's very nice, I'm glad you like it! Such a cool giveaway, totally entering this one! I am in, very nice giveaway!! Have you already joined mine??? hi dear=) you have a nice blog! A ver si hay suerte porque el collar es precioso!!!! :-D Besotes guapa!!! P.D. Nosotras también estamos de sorteo!! Hola! gracias por el giveaway! perdona mi espanol! Your blog is so adorable, glad to be a follower. Thanks for the visit. Following you via GFC name Modonika. Would love if you join me too on GFC and other to grow your network more. adorable!!! great post ! i really love it! Me alegro que te guste Marta! El collar es precioso, gracias por la oportunidad! 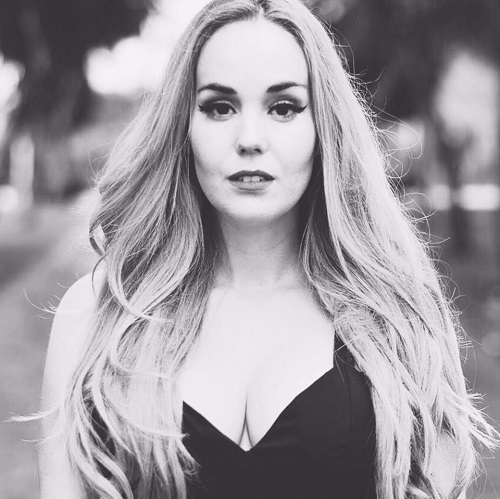 Gracias a ti por la visita Laura! Gracias por apuntarte guapa! Te deseo mucha suerte! I already followed your GFC. I hope you follow my blog too.. Thanks for the follow. Be sure to follow back! TGIF!